53,135 page views over twelve months, updated daily. 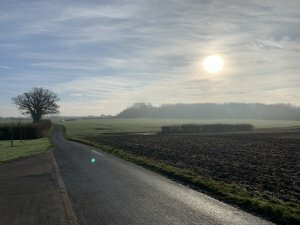 District and Parish Council Elections - May 2nd 2019! The Ebrington Arms Pub Quiz for Ebrington PTFA tomorrow night (Tuesday, 5th February 2019)! All funds raised will go to Ebrington PTFA for new ART & MUSIC materials for the kids in our village school (part of St James & Ebrington Primary School). The Ebrington Arms contributed a very handsome new wooden litter bin to replace the plastic litter bin under the Oaks. The parish council greatly appreciate their generosity. Local Walking Routes now Available! Beat those winter blues by tackling our new local walking routes, kindly developed by Jerry Gould, a Cotswold Voluntary Warden who acts as the Ebrington parish warden. Download easy to follow instructions here. 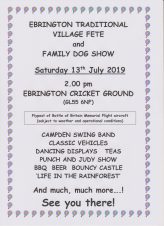 Saturday 14 July 2018 sees the return of the annual Ebrington Traditional Village Fete and Dog Show. Starting at 2pm on the village cricket pitch, everybody welcome - see the picture for more details. 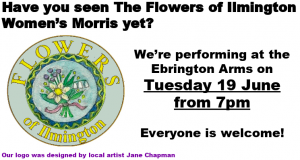 Come and see the Flowers of Ilmington ladies morris dancers perform at the Ebrington Arms, 7pm Tuesday 19 June - everyone welcome! War Memorial has an Early Spring Clean! 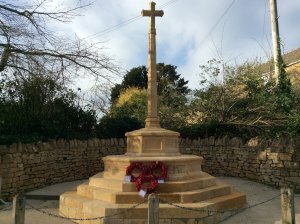 The parish's war memorial has been recently renovated, and has been restored to its full glory! A night to blow away the January blues! Includes a light Burns style meal and dancing to Brimstone. Tickets £14 from The Ebrington Arms, at a Brimstone gig (details here: www.brimstonefolk.co.uk ). HTML5 validated. WCAG compliant. Page generated in 0.0862 seconds.